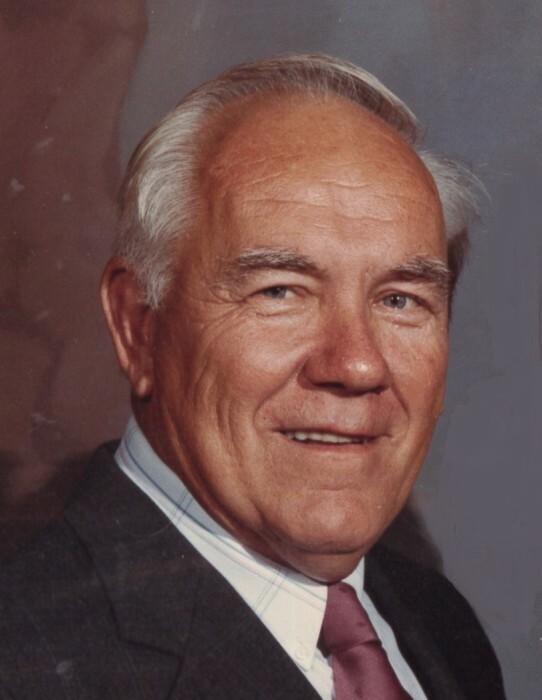 Funeral Services for Gaylord Dean Fryer, 87, will be 10:00 AM, Wednesday, April 10, 2019 at St. James Episcopal Church, 131 North State Street, Painesville, Ohio. Family and friends will be received 4:00 -8:00 PM, Tuesday, April 9th at Spear Mulqueeny Funeral Home, 667 Mentor Avenue, Painesville. Burial will be in Perry Cemetery. Gaylord was born May 26, 1931 in Garrettsville, Ohio to Max and Leota (Windsor) Fryer. He passed away April 4, 2019 in Perry. Gaylord was raised in Painesville. He graduated in 1950 from Harvey High School. After high school he joined the U. S. Air Force and became a Military Policeman, serving in the Korean War. He served most of his time in England. After serving more than three years in the Air Force, “Gay” was honorably discharged. On May 9, 1953 he married Christine “June” Rideout, and they were happily married for 65 years. He was a firefighter for the City of Painesville Fire Department, from 1956 to 1978. Through the years, Gay also owned and operated Bob-O-Barns, G & J Roofing, G & J Travel Trailers, Perry Flea Market, Furniture Outlet, Amish Cupboards & Crafts, and Perry Bargain Barn. He was a member of St. James Episcopal Church; a lifetime member of BPOE Elks Lodge 549 in Painesville; American Legion Post 112 in Madison and the Firefighters Association. Gaylord is survived by his wife, Christine “June” Fryer; daughter, Gaylinda (Joseph) Kerry; son, Maurice (Libby) Fryer; grandchildren, Michael Kerry, Joseph Kerry Jr., Kristin (Mike) Lino, Jennifer (Brad) Holler, Joshua Fryer, Scott Ketchum, and Kimberly (James) Graycar; great-grandchildren, Olivia Lino, Lexi Lino, Sophia Holler, Ella Holler, Nina Nappi and Cameron Welty; sister, Donna Gillis; and many nieces and nephews. He was preceded in death by his grandson, Christopher Ketchum; parents, Max and Leota Fryer; brothers, Harlow James Fryer, Ludwig Fryer and Vernon Fryer; sisters, Valley Kirschstein, Marcella Christie and Wanda Spaller.